Bob Vila Radio is a newly launched daily radio spot carried on more than 60 stations around the country (and growing). You can get your daily dose here, by listening—or reading—to Bob’s 60-second home improvement radio tip of the day. Today, it’s all about Outdoor Furniture. Don’t throw out that old patio furniture just yet…salvaging it can be a great weekend project! 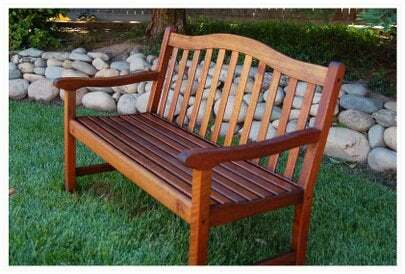 Tired-looking wooden patio furniture usually only needs a light sanding and a couple coats of stain or oil to look as good as new. For rusty metal, use a wire brush or sandpaper to remove all the rust and flaking paint. Wash it, and when it’s good and dry, give it a coat of metal primer and a couple coats of a high-quality outdoor metal paint. You can spot-sand nicked aluminum furniture and touch it up with a brush or a spray can. You can’t repair damaged mesh slings or vinyl straps, but you can order new ones from a furniture parts supplier. Even dulled-out or mildew-stained plastic furniture can be saved with a scrub brush and some detergent or bleach and water. There’s even a paint for plastic now so you can change the color altogether if you want. Invest a little elbow grease and you may have something worth saving!